Ghost Cats are a form of the paranormal that occurs quite often. More often than not, people who experience this phenomenon are people who have had a cat pass on recently. Other stories I have heard involve the cat returning at specific times of the year, like the holidays. People even have photographs where these deceased cats show up in transparent form. Eyewitness accounts are too numerous to list here, but the most common are cats jumping up on the bed with their former owners, laying down next to them or walking across their legs. Another common report is people reporting that these Ghost Cats brush against their legs or they hear them meowing. And yet other reports describe cats scratching at the bedclothes on their owners’ beds. My group members have also experienced this phenomenon at investigations we have done. One store we investigate on a regular basis has a resident ghost cat. 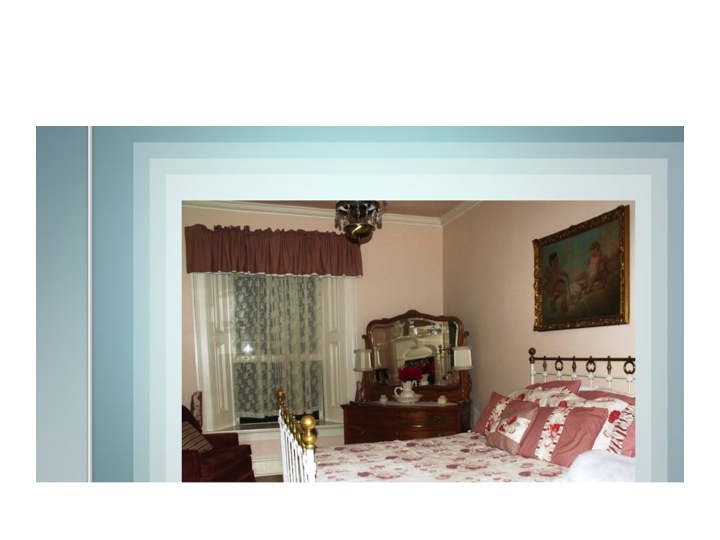 Below is a video at a private residence we investigated. This camera was on a tripod in the backyard. During the time we filmed this cat, the camera went haywire (all the static) once the cat disappeared the camera went back to normal focus. This is a “possible” ghost cat. Look closely at the first few seconds and again at the end when the cat is out in the open it appears to be transparent. The only cat in this area has no tail, this one does. Find places that are active and do regular investigations at these places. This works for our group. Even haunted locations are not always active. So if you do several investigations it raises the odds you will be able to capture evidence, especially EVP’s and videos. Repeat visits are also a good way to back up personal experiences. It just takes time and patient to collect tangible evidence. We work closely with our clients so we have the opportunity to return and do follow-up investigations. Once our clients see some of what we capture they are always willing to let us return. Needless to say, a lot of our clients become good friends. Returning to the same places also allows us to test out new equipment and methods, compare evidence from various investigations for patterns, and have ongoing interaction with the spirit or spirits presence. Return investigations also allow us to confirm our evidence. If there is consistent activity, in certain areas etc., it often helps use determine if it is paranormal in nature. Another reason a return visit is helpful is we already have eliminated man-made causes at these locations so we can focus upon areas that are not easily explained. This focus puts us in the places where we are more likely to capture evidence. One store we investigate regularly has provided us with a wealth of EVP’s and video evidence that backs up what others have experienced at this location over the years. Our goal is to help our clients and determine what is really occurring. Return visits give us credibility and the opportunity to collect evidence and set our client’s minds at ease. It is a win, win situation. My group uses a Kestrel 4000 Pocket Weather Tracker when we investigate. It is a nifty hand held weather station. Race car teams, firefighters, and the military all trust and use Kestrels. They are lightweight, small, and durable. You can drop them or submerge them in water and they still work. The unit floats. I hang mine around my neck. They give you an instant read out on these weather conditions: barometric pressure, temperature (heat index), dew point, wet bulb, humidity, density altitude, and wind chill factors. Mine also gives the wind speed (MPH, knots, KPH, Feet Per Minute, and Beaufort Wind Scale). The display lights up and there are added features, such as, the unit records current, average, maximum wind speed, barometric pressure etc. so it gives a nice readout on all weather parameters plus the time they occurred. The Kestrel also graphs all the data it stores. You can even customize the way the unit displays its data. It is easy to use just put in the altitude of your location and the Kestrel then gives very accurate data on your exact location with a press of a button. The unit is so fine-tuned it records even slight fluctuations. The unit stores the data it records continuously either automatically or manually. It has a nice computer interface so you can upload all this data to your computer. The Kestrel’s range is 30 feet. So why use a Kestrel during a paranormal investigation? The information above answers this question but let me be specific. Our group backs up the cold or hot spots we feel during an investigation with the Kestrel’s data-- this is a great way to confirm evidence. Our unit also helps us determine if the breeze we are feeling is recorded wind or not. For many years in the United States to belief in ghosts was considered taboo. It is still considered “para” normal as opposed to “normal” to believe that ghosts exist. But I find when I mention my belief in ghosts that one out of every three people I talk to confirm that they also believe. They immediately state that they, a relative, or a friend has experienced something that they could not easily explain. So in America do we still keep our belief in ghosts under our hats? I wonder if there is still a fear of being ridiculed by others if this belief becomes known. I personally have always been very open about my belief and the only people that respond negatively to me are people who do not know me. People who know me accept my belief without pause. In fact, people who know me often open up and talk in more depth about their own beliefs—ghosts or otherwise. * In recent years surveys asking Americans if they believe in ghosts have shown an increase in the amount of people who do believe. Most reflect that women (47%) 2 to 1 over men believe in ghosts. Recent statistics also reflect an even larger portion of our population believes in protective spirits who are involved in their daily lives. In a recent online survey 77% of the responders stated they had felt the presence of an angel or dead spirit. One final thought, my belief in ghosts has enriched my life immensely. An EVP is a voice or sound you capture on a recording that you do not hear in real time. It is only when you listen to your recording, after the fact, that you hear it. The traditional way investigative teams do this is to set up several digital recorders at various locations during their investigations and leave them running for a while—anywhere from 20 minutes to several hours. Traditionally these recordings are not listened to until after the investigation is over. A traditional EVP session is where an investigative team will sit down turn on their recorders ask questions of the spirits present and then wait quietly—giving the spirit a chance to respond into their recorders. It is during these sessions where team members are encouraged not to whisper so their voices will not be mistaken later on the recorder as a spirit voice. “Tagging” is very common during these sessions where every team member identifies their voice—by stating their name on the recording. Then as the EVP session progresses any non-spirit noises, such as, traffic passing, someone sneezing, an investigators’ footsteps etc., is stated so it is recorded. This is done so later it is not mistaken for spirit activity or a spirit voice. The Constantinos have revised this traditional system to make it much more practical. First, they use at least two or more recorders right next to each when they do EVPs. They have gotten some amazing results with this technique. They will pick up two totally different responses, for example: spirits talking at the same time but saying different things. So each recorder, despite being right next to each other will have different spirit interaction on them. Second, they only record for very brief periods of time, around one minute at a time, and then they immediately play them back and listen to them. This is useful because if there is a response their next question can pertain to what the spirit is doing or saying right then. I saw them use this technique at the Stanley Hotel and because they listened immediately to the feedback they were getting from the spirit they then knew to address the spirit by its’ name “Manuel” and they were able to ask questions that directly connected to what Manuel was communicating to them. Update: The two were separated after several domestic violence incidents. This week Mark killed Debby's male roommate, kidnapped and killed her and then killed himself. More about this tragic murder/suicide here and here. Here is a post about what happened. This video was shot on one of our group's DVR cameras. The owner of the Shaffer Hotel in Mountainair, New Mexico closed his hotel so our group could do an investigation of the place. I and four other investigators stayed up most of the night doing EVP sessions and checking our DVR monitors for activity. My group has used a DVR (digital video recorder) surveillance camera system for a year now. We have caught some interesting things on it: a chair moving and a lamp moving when no one was around. Another upside to these cameras is they film nicely in the dark without any additional (specialized IR lighting). The downside is the time it takes to set up this kind of system and the hours of video you have to review on multi-screens afterwards. These cameras though are ideal for both indoor and outdoor filming. When we use them indoors we have all lights out—one glitch is light sources randomly leak through so you do get flashes of color so be aware of this and do not mistake it for paranormal. These cameras also pick up many orbs so be aware that this is just dust, dirt, pollen etc. in the air so don’t mistake this for paranormal activity. Also keep in mind that videos copied from DVR's are much harder to transfer onto a computer. You really have to know all the ends and outs because they can be extremely frustrating to work with. Make sure you buy one that has an internal CD/DVD drive—one without this feature makes it even harder to transfer data to a computer. Cords to connect your DVR hard drive to your computer are available. For many investigations we take just our camcorders (Sony Nightshots) but we always use additional IR (infrared lighting) with these camcorders (a light mount is needed for each camera). Keep in mind that when you use camcorders this increases the cost of rechargeable batteries for them--each costs around $90.00. You typically need more than one battery for each camera. Digital cameras are also easier to set up and use. Note: many digital cameras film really well using just their “night mode” selection indoors, use flash with this and no additional lighting. When used outdoors additional IR lights should be used. Regardless of what cameras we use our group always mounts most of them on tripods. This provides a much more reliable, stable picture. But we do hand hold some of them—if you are not familiar with camcorders practice using them while you walk. In other posts I address more about photography and ghost investigations, including information about Full Spectrum Cameras and the lights that are best to use with them. Whether they are referred to as protective spirits or guardian angels many people believe that there is something out there that watches over us and protects us. Whether there is a religious connotation placed upon this belief or not, I find that most people I have discussed this with have at least entertained the notion that protective spirits do help us. My group has helped two clients recently that have protective spirits in residence. The first owns a shop that has several protective spirits in residence that protect her and her store. When she or her daughter smell cigar smoke and then a floral scent they know they are being warned of some danger connected to the store or themselves. The store was a warehouse from the early 1900’s and is over two stories high. The daughter was standing on a scaffolding at the front of the store painting the exterior wall. She smelled these two scents so she climbed down and then a strong wind blew the scaffolding down. The St. James Hotel in Cimarron, NM was the site of many gunfights at the turn of the century. One man who was shot and killed in the hotel was T.J. Wright. The hotel keeps the room where he stayed and died locked to the general public because of the negative energy it pulsates. The St. James also has a protective spirit, “Mary Lambert” the second wife of the man who built the hotel. While investigating the second floor near T. J. Wrights’ room each of my investigators and myself individually smelled gunpowder and then Mary’s floral scent sweeping down the hall to protect us from T. J. The majority of spirits I have encountered over the years have fit into this category. Some have been indifferent, some playful, but most have been positive in nature. I feel the reason for this is I actively seek out the positive. I do not court or waste my time with negative energy. Therefore most often than not negative energy leaves me alone. I rarely refer to negative energy as “demonic” or “evil.” This does not mean I do not believe that this form of energy or spirit exists. Encounters with spirits are not always what you would expect. A stereotype is that a ghost will do about anything to get your attention, such as, move objects, and make really loud noises. Another stereotype is that spirits will physically hurt you in some way, scratching etc. These types of encounters do happen but rarely. I have found over the years that spirits more often than not choose much more subtle ways to get your attention. Because of this you really have to be tuned in or you will miss their efforts. Conducting EVP (Electronic Voice Phenomenon) sessions is a great way to pick up spirit activity. All you need for this is a recorder. My group often picks up direct responses to our questions on our digital voice recorders. During these sessions we also pick up loud sounds, such as, banging which we don’t hear in real time. Just a cautionary note here: don’t disregard the sounds you do hear in real time during EVP sessions. Spirits are often able to muster enough energy to communicate directly as well. The classic example of this is rocks being thrown. We have encountered this phenomenon both indoors and outdoors. Other common encounters our group experiences are smells and odors, such as, floral scents, gunpowder, cigar smoke, wood burning. These odors are often how the spirit initially announces their presence. My group has rarely encountered rotting, dead smells. We do not encourage negative energy. Touch is another common way spirits let their presence be known. Because of this my group often states during investigations that it is okay to touch us. We have had our hands, arms touched, backsides patted, and legs brushed. My advice is to practice observing the little things –this is your best chance to spot spirit activity and capture evidence. If you are interested in anything connected to the paranormal this podcast is for you. Dave Schrader hosts his show fives nights a week live on FM News Talk 100.3 KTLK from 11:00 to midnight central time. I rarely have time to listen to his show live so I listen to the Stitcher podcast or I go to “darknessradio.com” and check out his show archives and choose the topics that interest me. Dave is a very good interviewer and he allows all points of view on his show this generates some really interesting discussions. Because of Dave’s reputation he has access to the top writers and researchers in the paranormal field. He recently did two shows on “Black-Eyed Kids” if you don’t know about this phenomena I recommend his two shows on this subject. I found them very interesting and very scary. Here is some of his podcasts. This blessing nails it on the head for me. In New Mexico where I live it is illegal to ghost hunt in most cemeteries. I have no problem with this. I, like the families of the deceased in New Mexico’s cemeteries feel the dead should be left in peace. Secondly, I agree with the sentimental wish expressed in this Irish blessing. If I were a spirit that was still earthbound you wouldn’t find me hanging around were they buried me, I instead would probably haunt an area that had meaning to me while I was alive. Just a thought. Whether you wear the orange or green today I hope you have some fun. This quote is from one of Edgar Allan Poe’s’ stories entitled Berenice. It stays true to his form, the traditional gothic horror story, in which his protagonist ends up burying his wife alive and seems to forget about it in his ponderings toward the end of the story. My group members wear this quote on the back of our shirts. We use it similarly to how Poe’s protagonist used it. In today’s ghost investigation climate, it seems as if almost everyone involved in ghost investigations is out to convince all the non-believers out there that ghosts really do exist. My team views this in a different light. The only time this concept impacts us is when we are working to assist our clients. 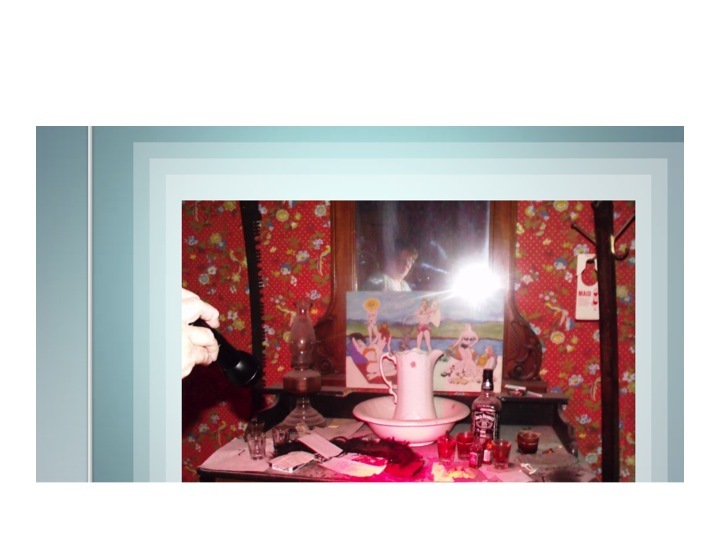 We definitely spend time determining if it is spirit activity or not that is disrupting our client’s lives. We use all the latest equipment to assist us in this effort, as well as ourselves so that we can help our clients with some kind of resolution. But as I have stated before this is where it ends for us. If you have ever spent time on a paranormal forum in the United States, you have already realized what a radical stance my group has decided to take. Amidst posters who are passionate about proving that they are more scientific than the next group, my posts are considered almost sacrilegious. Often people do not believe unless they have experienced a paranormal event in their own life. So I will not be able to convince them otherwise. Another factor I take into consideration is some people have experienced paranormal phenomena and then convince themselves it didn’t really happen. I also hold the opinion that people should believe what they want, so why should I try to convince them otherwise. A reaction I get to this stance is often one of misunderstanding. First, I am not knocking down groups that have the goal to provide evidence that ghosts do exist. This is a good thing. But this concept and how others view it gets muddled together. Gaining more evidence that ghosts do exist is a great goal to work toward. Worrying about how others view our efforts is IMHO a waste of time. So I choose not to argue the point. Which frustrates others to no end. When I first saw these being used on TV I was very skeptical. But since, members of my group and I have observed others using them at the Stanley. I must admit I slowly changed my mind about them. Various people using a Shack Hack scanner and a PX got identical answers to direct questions. This peaked my interest enough that when I returned home I hacked a Radio Shack AM/FM Shortwave radio. (20-125). We took it to one of our favorite haunted places and tried it out. I was impressed with the results. Using the scanner and a ghost radar off my android I asked questions of the resident spirit child that we have recorded in the past. I asked the spirits name (we know from past encounters his name is Tommy) the scanner and radar both responded "Thomas." The scanner voice also questioned us about the radio, and requested we be quiet and listen. I found this very ironic. So far the results we have experienced have been quite impressive. My advice to you is if you decide to experiment with a Shack Hack first use it in a place that is known to be haunted. It is amazes me that people quickly criticize simple ghost hunting equipment. I ask them where they have used it and they always state "their homes," I then ask if their homes are haunted and they reply "no." Second, use patience. Sometimes it takes awhile to get responses. If you find a place that is haunted return often so you increase your chances of gathering evidence. Lastly, there are many sites on the web that show you how to hack various radios from Radio Shack. The one I hacked is considered one of the harder ones to do. But since I am a visual learner l found it wasn't hard at all. If you want a scanner but do not want to hack one yourself you can find them on ebay for around $40 to $50 dollars. Here are some common sense tips you need to consider before you decide to ghost hunt. 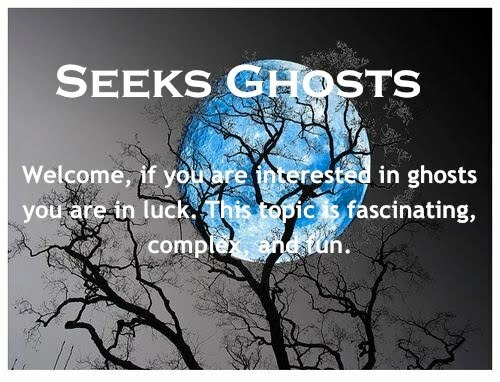 Connect with an experienced ghost hunter group in your area. Ask them if you can observe one of their investigations. After this, determine if ghost hunting is really something you want to do. Warning—you cannot learn to ghost hunt from watching how they do it on television. Be willing to commit a lot of free time to learning how to ghost hunt. If you are accepted on a team the first rule of thumb is be reliable. Show up for all meetings and hunts. Learn how to use a variety of ghost hunting equipment correctly-- this is very important. Do you know how to use a digital camera in the dark? Do you know how to use a camcorder in the dark? Do you know how to use a digital voice recorder? Spend time learning what flashlight works best in the dark. Do you know what an EMF detector really does? Finally, be aware that reviewing evidence from investigations is very time consuming. The above is just the beginning list of items that you will find you need once you start hunting. Start a wish list of the items you want to get in the future. Also be aware that ghost hunting equipment in general is very expensive. If you want a better meter etc… you will need to pool your money with others. Some groups even learn how to make their own equipment, such as, Shack Hacks. You need to ask yourself why you want to ghost hunt. Most become involved to seek answers and help others. Dealing with the general public is a big part of ghost hunting. Talking to people and gaining their trust so they will allow you in their homes, businesses etc… is a big part of what you do. The flip side of this is the ability to determine if you want the people you interview as clients. Another important aspect of ghost hunting is learning how to protect yourself from negative spirits or entities you may encounter on a ghost hunt. Most sites discuss what equipment you need but not many discuss what protection you need. If you do not want this negative energy to follow you home I suggest you research online the various methods, religious or non-religious, which will prevent this from happening. Lastly, I discourage children under the age of eighteen getting involved in ghost hunting. Based upon what I have seen and experienced over the years I feel strongly that emotionally children are just not ready. Just got back from the Stanley Hotel in Estes Park, Colorado. The Stanley is considered one of the most haunted hotels in America. This hotel inspired Steven King's The Shining and Pet Cemetery. Dave Schrader from Darkness Radio and the Cast from Ghost Adventures hosted this event. I found Dave and Zak to be very down to earth and accessible. It was a very informative conference. Speakers, such as, Jeff Belanger and Bill Chappell made the trip very worthwhile. Jeff has written some of the most entertaining and informative books about hauntings. Bill is a retired engineer who has developed some great ghost hunting equipment, the PX, Ovilus etc. Several members of my group Central New Mexico Ghost Investigations and myself attended this ghost hunt/conference. Our group normally conducts hunts with only 4 to 6 people at a time. We investigate homes and hotels etc. where the owners are kind enough to let us have the space with no one else around. So we turn off the lights, walk in our soft-soled shoes, and send in 2 people at a time, which allows us to do very quiet investigations. I was pleasantly surprised at the effectiveness of the ghost hunt we attended at this conference. Despite several hundred attendees groups were divided over two nights into various parts of the hotel, manor house, and concert hall. The Stanley closed its doors except for the conference attendees--they also turned out all the lights for us. We where divided into small groups and went to various locations were leaders, such as; the Constantinos (EVP specialists) and Zak, Aaron and Billy from Ghost Adventures led the various groups in investigations in the most haunted locations. We went into the employee tunnel and then into the cave next to it. Our small group EVP session picked up a spirit swearing at us and we head a disembodied voice (Manuel) speak to us. It was really fun. (Note: my group does this kind of thing all the time and we seek it so it does not scare us). We had a great session with Jeff in the bachelor suite in the manor house. Using a PX and a Shack Hack we got direct responses on both in direct answers to our questions--when you use these two types of equipment you always record--so we have great evidence. For example, both gave us the same name for the spirit we were talking to and both mentioned the Stanley by name. My group also did some investigations on our own and we actually picked up some compelling evidence on our camcorder and digital cameras during the day on the hotels' side staircase. One of my investigators went back up to our room during lights out using this same side staircase--her flashlight battery drained and a very dark entity followed her. Something fluttered up between my pants leg and sock during the bachelor room session when I was leaning against a wall with no one on either side of me. One a final note: The Stanley Hotel is a must visit. It has a wonderful staff and an old world charm rarely found. Do not visit this hotel in the summer--it has no air-conditioning. In the winter the central heating is so effective you can throw open your room windows and have fresh air 24/7. In the summer there are constant ghost tours so it is noisy. In the winter the hotel is peaceful in comparison. The food in the bar and dinning room is wonderful but very expensive. Rent a car or drive your own. It literally takes five minutes to get anywhere you want in Estes Park from the Stanley.